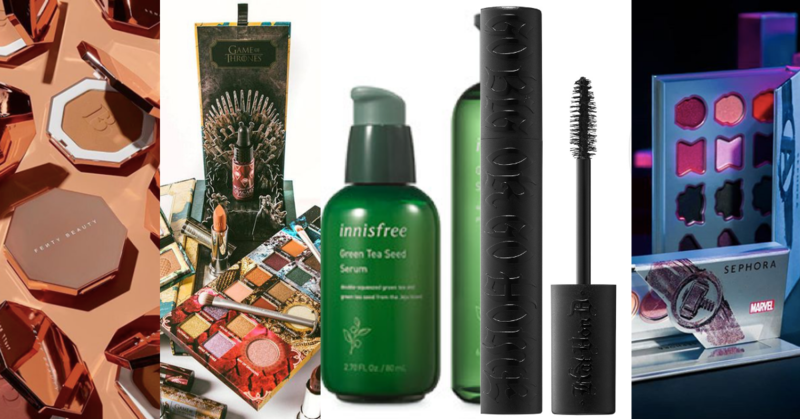 The first quarter of 2019 is officially over and now that April is here, the new month screams for more new beauty product releases! April may seem like just another ordinary month to some of you guys but definitely not to all the Game of Thrones fans out there! What’s a better way to celebrate this GoT month while waiting for the final season of the series, with the new GoT inspired make up collection by Urban Decay?! Innisfree’s cult-favorite Green Tea Seed Serum has been reformulated and repackaged for their 13th Anniversary Edition this time. Releasing TOMORROW (April 5th, 2019) in Malaysia’s Sephora stores, The new Fenty Beauty Stalk’r Instant Warmth Bronzer that comes in eight versatile shades to bring out the warmth in all skin tones is the newest product added into the Fenty Beauty line. Next on the list is the “Go Big or Go Home” Mascara by Kat Von D that claims to have all the good stuffs you can find in THE perfect mascara including plant-based blend of waxes from olive and sunflower oils, which provides the base for extreme volume. April is definitely an eventful month followed with the highly anticipated release of Marvel’s movie, The Avengers: End Game. And if you’re an Avenger fan (duhhh), you wouldn’t want to miss the chance to grab this exclusive Marvel collection by Sephora! Available online and will be up for grabs in the store on the 11th of April in Malaysia. Tell us in the comments down below which product caught your attention the most!